Nowadays everything in nutrition is about controlling insulin – as if insulin in and of itself could make you fat. The most important variable in your diet is still calories – if you eat in a deficit of 1000 kCals of your maintetnance, you will lose weight even if you only eat sugar. We can turn it around – yuo can have all the healthy, slow absorbing sources of food you want, as long as you eat in a 1000 kCals surplus over your maintenance, you will not lose weight. So the most important variable is calories. But it is true – the quality and type of food you chose can help enhance your physique and the results of your diet. When defining the quality of foods we have different measures and aspects we should consider. The quality of meat can be defined for example by its the essential amino acid content, the quality of a fat source by the composition of fat in it. The quality of carbohydrate sources can be defined mostly by 2 different numbers. 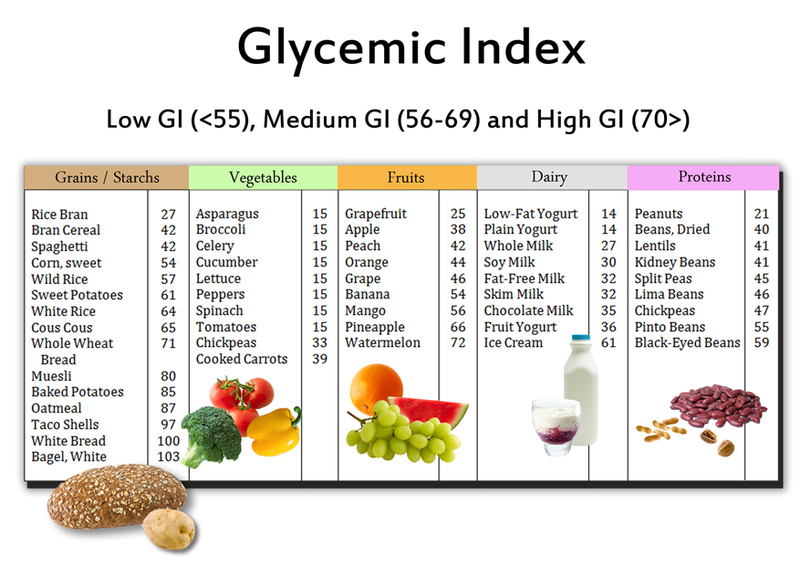 The most easily accessible iis glycemix index. Glycemic index is a quite simple concept – it basically shows how fast is the rise in your blood glucose levels after consuming a certain meal. The faster the rise, the more inuslin will be secreted by the pancreas. Higher glycemic index is associated with less satiety. Glycemic index compares the rise in your blood glucose after consuming a certain food to the rise in blood glucose after consuming pure glucose. As such, glucose has a GI of 100, a GI above 70 is high, between 56 and 69 is medium and under 55 is low. The other, and I would say more useful number is glycemic load. GL takes into consideration not only the rise in blood glucose but the amount of carbohydrate in a set amount of food. It is important because for example melon has a high GI, but would we say that it is unhealthy? No. Why? Because there is hardly any sugar in melon. So melon has high GI, but low GL. We differentiate high, medium and low GL foods. Summary: if you want to lose weight, you need a caloric deficit – calories are the most important. Although chosing the right types and sources of carbs will lead to higher levels of satiety with less hunger, that will lead to a higher chance of diet adherence.